The VAA is a network group formed by major visual arts organisations in FNQ. Cooktown School of Arts Society Inc.
•To provide a communication link between local bodies involved in Visual Arts. •To provide a liaison and referral service between community, industry and government authorities. We publish a Visual Arts Newsletter every 2 months at a cost of $15.00 per annum. This brings a list of membership activities, detail and impact of Council activities and a general overview of what is happening. It is available as a black and white hard copy or a colored PDF copy over the internet. We operate a Visual Arts Forum which is free for anyone to join. Generally it is used to circulate Visual Arts news, competitions and exhibitions throughout the Far North Queensland region. We also assist in coordinating various exhibitions for special needs. 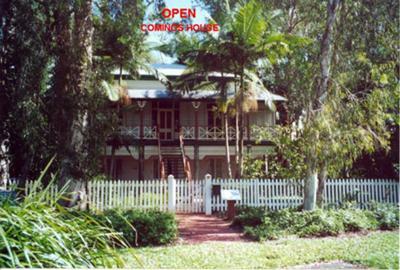 Our physical location is Cominos House Greenslopes St.Cairns,(see picture). Comments for Visual Arts Association of Far North Queensland Inc.